DJI Zenmuse GH3 Z15 Brushless Camera Mount For Panasonic GH3. 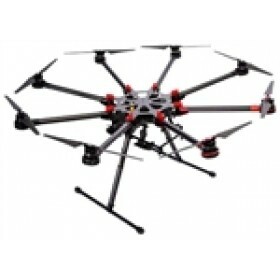 This product has been replaced with the DJI Z15-GH4 Zenmuse Gimbal (HD). This page is for reference only. The 3-axis Zenmuse Z15 Panasonic GH3 camera brushless gimbal system has been designed for professional filming, aerial photography and commercial use, its design, mechanical structure & construction gives a high level of precision, the control angle is within the range of ±0.01°, so pictures or video recorded will be very smooth even when the aircraft is in high-speed flights. The slip rings inside the Zenmuse camera gimbal avoid the complicated and exposed wiring seen on other camera gimbals to the servos. All the wires of the power and signal lines are integrated into the gimbal body, which means that the Z15 can rotate without any limitation. The yaw control could reach ±360°, the pitch control could reach ±360° and the roll control could reach ±40° (±360° mechanic continuous rotation). The Zenmuse Z15 owner benefits from the experience gained at DJI in UAV autopilot system, perfect attitude-stabilized algorithms, together with the Zenmuse Z15 gives class leading performance and seamless integration without the requirement of any extra installations and extra wires, it's easy to assemble and use while delivering stable images while flying. A separated controller is added to the Z15 gimbal and is connected by the CAN wires with the main controller of DJI Wookong autopilot system. According to gimbal attitude feedback, it can control the rotation directions and angles with high precision and also communicate and get real-time control orders from the main controller of autopilot system. 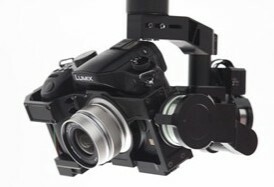 In order to minimize the payload of aircraft, a video output module with expanded features like camera shutter and customized HDMI signal to AV convertor is included in the Z15 body, once again keeping the external wires to a minimum and ensuring the smooth and free movement of the 3 axial gimbal. Within the DJI GH3 Z15 Zenmuse system you will find DJI a customized gimbal servos drive module, this meets all the control requirements of the high performance Zenmuse gimbal. With these very high precision, low vibration, high torque servos, the DJI is an excellent combination of power and precision! While the Zenmuse camera gimbal supports most of transmitters and receivers in the market, the Futaba S-Bus receiver system is supported and it's the most user-friendly option. Controlling the Zenmuse gimbal 3-axis rotation function is very easy simple and simple to apply. 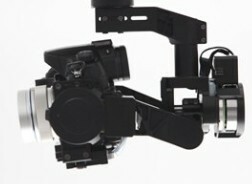 The stick range corresponds with rotation speed of gimbal axis. The excellent control algorithm guarantee high precision performance of the rotation in all axis's. The control algorithm of the Zenmuse gimbal means that the rotation speed will not be influenced even when the aircraft is in high-speed spinning or quick lifting. 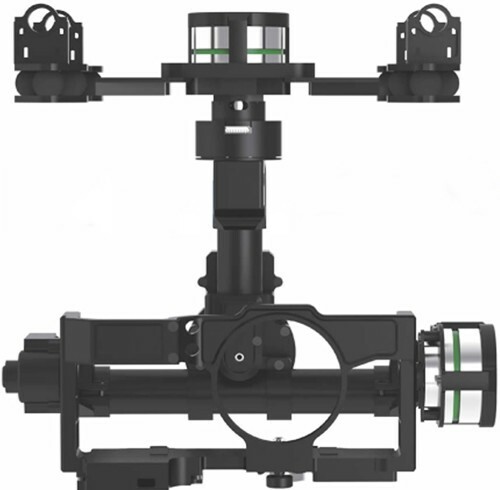 Zenmuse gimbal system has three control modes, which are Orientation-locked control mode, Non Orientation-locked control mode and Back to Mid-point mode (Horizontal mode). The three types of modes can be switched quickly from one mode to another to meet the changing requirements of the aerial photographer. With the perfect mode and easy operation of the stable 3-axis Zenmuse gimbal, users can take excellent aerial photographs & video. Three Working Modes, Orientation-locked control, Non orientation-locked control & Back to mid-point (Horizontal mode). DJI gimbal special servos drive module. Operating Temperature -10°C ~ 50°C. Communication Interface CAN (Compatible with ACE One & WKM). Weight 880g (Without UBEC, HDMI-AV module). Dimensions 200mm × 200mm × 230mm. Frame Dimensions for Camera (Inside) 115mm × 75mm. Load Weight (Reference Value) 392g (@Panasonic GH2). Max Controlled Rotation Speed ±180°/s. Controlled Rotation Range Yaw control: ±360° continuous rotation. Pitch control: ±360° continuous rotation. Roll control: ±40° (±360° mechanic continuous rotation). The Zenmuse Z15 supports three types of camera, which are the Sony Nex 5, Sony Nex 7 and Panasonic GH3/ GH4, it's important to make sure that you select the correct gimbal option for your camera.